MPP (Massively Parallel Processor) was an experimental, large-scale SIMD (single instruction multiple data) parallel processor. It was targeted at providing supercomputer levels of performance in array applications such as simulation, fluid dynamics, and imaging. Built out of arrays of simple 4b processors coupled together by a scalable routing network, with a maximum of 65,536 processors, MPP was a direct descendent of the Goodyear SIMD processor and a predecessor to the Connection Machine. MPP consisted of two chip types, both replicable: the MPP PE (processor element) chip and the MPP Router chip. They were implemented in DEC's 2u double-metal CMOS1 process and ran at 10Mhz. As MicroVAX wound down towards release in late 1984, the team members began developing other ideas. Dan Dobberpuhl and Rich Witek explored RISC technology. Bob Grondalski, the memory management unit designer, became interested in SIMD technology. By early 1985, he had an architecture for, and a performance model of, a SIMD system implemented in VLSI CMOS that would perform at (gasp!) 10 gigaflops per second. Working essentially alone, he produced a behavioral model for the core processing chip and went to the RAD Committee (an internal funding source for risky new projects) for funding to continue the work. The RAD Committee provided enough additional funds to hire a software developer, and the project went forward. By the end of the year, Bob had finished the logic, circuit, and layout design of both chips essentially single-handedly. With part-time help from a layout designer, and after a short delay while the fab's mask making facility was offline, the Router taped out in May, 1986, and the PE chip a month later. Both were functional, at speed, on first pass. 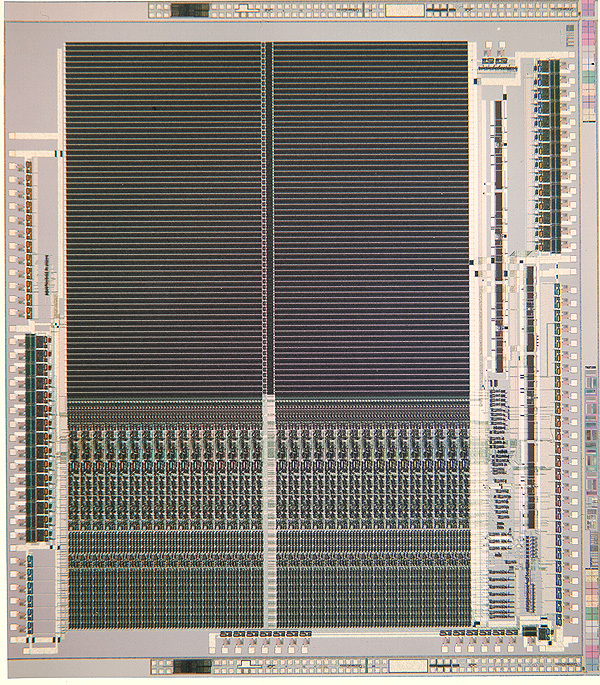 A second pass of the PE chip in early 1987 added additional features and fixed a few bugs. Lack of funding and resources delayed the system and software effort. A complete miniature system, with 8 PE's and 3 Routers, was functional by mid 1987, and a system with 64b PE's by September. At that point, the company decided to license MPP to Jeff Kalb, formerly the VP of the VLSI Group, who had left to do an MPP startup (MassPar). The decision was reversed at the end of the year, but the entire project was stalled for more than 3 months; by the end of 1987, only a 256 PE system had been assembled. 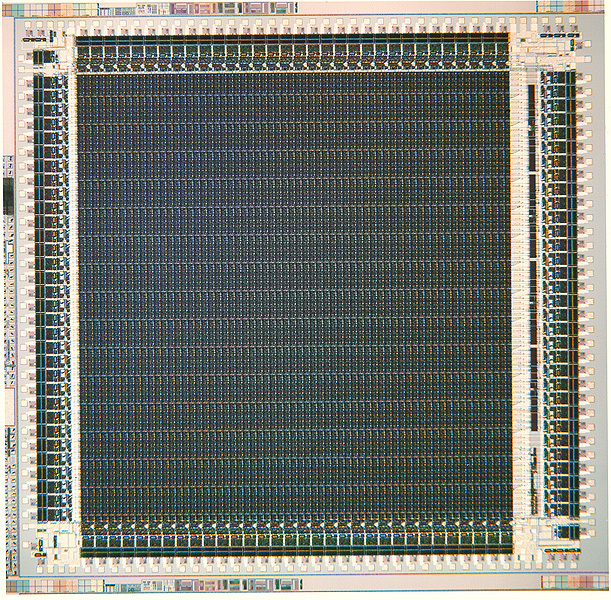 The 512 PE system (16K processors) was finished in March, 1988. Thereafter, the project simply got lost in the company's processes. Although approved for product development, changes in direction and competing claims for resources prevented any serious MPP productization effort from getting off the ground. The project simply faded away, and by 1989 the technology had been shelved.